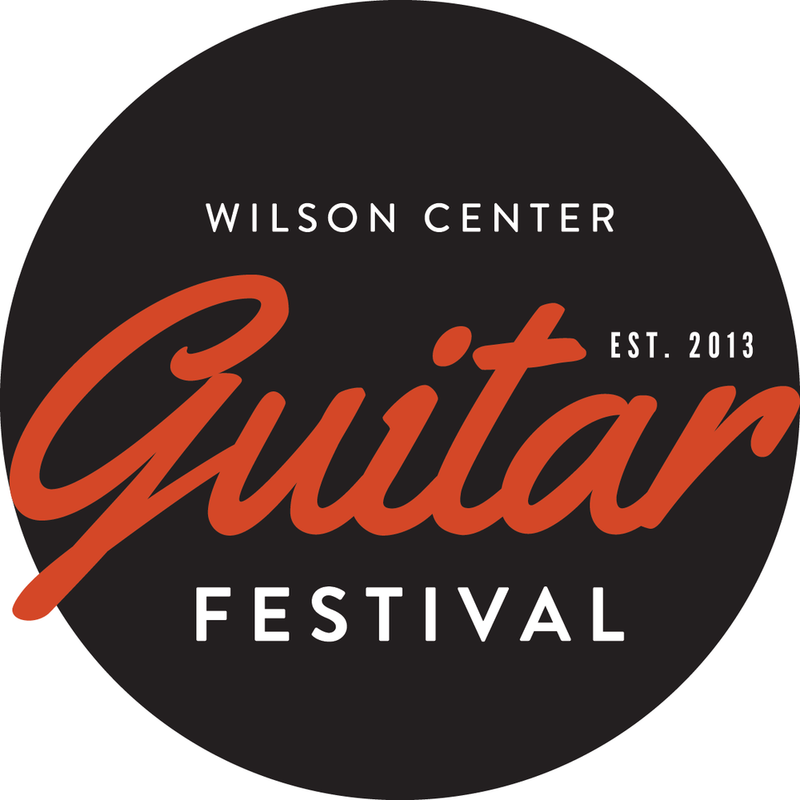 Throughout the Festival, the Wilson Center will be an official Guitars for Vets guitar drop-off location for those who would like to help put the healing power of music in the hands of heroes. For more information, please call our Box Office at 262-781-9520 or visit the Guitars for Vets website at www.guitars4vets.org. PLEASE NOTE: unless otherwise indicated, all Festival activities are free and open to the public to attend. Where indicated, advance registration is recommended. All dates, times, artists, and activities subject to change. Get a sneak peek at the latest & greatest guitar gear from Festival vendors Jonathan Marshall Guitars and Madsen Guitars in our Kuttemperoor Grand Hall, and then head upstairs to our Ploch Art Gallery to see artist-designed guitars on display from Guitars for Vets and battle it out with Guitar Hero. Head to our Lynn Chappy Arts Education Wing to check out our 2018 Competitor Wall of Fame. Guitar pedagogue and virtuoso performer Troy Stetina will discuss strategies for preparing and executing successful performances, with an emphasis on dealing with the stresses of performing live. Programming consultant Lynn Lucius has approximately 30 years of experience booking talent for venues in the Midwest and western United States. Trumpet player and artist manager Don Sipe has led Omicron Artist Mgt., Inc. since 1993. Guitarist and Hal Leonard Corp. instructional author Troy Stetina has more than a million rock/metal guitar methods sold. Join us for a music industry roundtable as these veterans of the music business answer questions about the behind-the-scenes aspects of the art form. Enjoy light appetizers and refreshments as we celebrate the start of our 2018 Festival with a jam session in our Burke Colonnade featuring three of our Jazz Judges: Paul Silbergleit, Bob Monagle, and Neil Davis. Competitors are encouraged to bring their instruments and participate! See the latest & greatest guitar gear from Festival vendors Jonathan Marshall Guitars and Madsen Guitars in our Kuttemperoor Grand Hall, and then head upstairs to our Ploch Art Gallery to see artist-designed guitars on display from Guitars for Vets and battle it out with Guitar Hero. Join us to hear our 2018 jazz and classical semi-finalists compete for their chance to become a finalist! Jazz competitions will take place in The Harris Theater while classical competitions will take place in the Dawes Studio Theater. Please note: both semi-final rounds are anticipated to be finished by 11am, although end times may vary. Join us to hear our 2018 rock & blues and fingerstyle semi-finalists compete for their chance to become a finalist! Rock & blues competitions will take place in The Harris Theater while fingersyle competitions will take place in the Dawes Studio Theater. Please note: both semi-final rounds are anticipated to be finished by 3pm, although end times may vary. Be part of an intimate masterclass experience with rock & blues Hall of Famer and this year's Festival headliner Elvin Bishop! This hour-long class will feature a Q&A session moderated by 2018 rock & blues judge Peter Roller, as well as demonstrations from the legend himself. It's the start of a new Wilson Center Guitar Festival tradition! From Fish ‘n’ Chips to BBQ Brisket to Surf ‘n’ Turf, our friends from Major Goolsby’s will be preparing the "real deal full meal" from 4:30pm until the start of the Elvin Bishop Big Fun Trio concert at 7:30pm. Our Festival Friday guests will also be treated to a performance from Guitars for Vets in our Burke Colonnade, as well as find out which of our 55 semi-finalists will be advancing to the live, final competition rounds taking place at the Center on Saturday! PLEASE NOTE: Throughout the Festival, the Wilson Center will also be an official guitar drop-off location for those who would like to help put the healing power of music in the hands of heroes. For more information, please call our Box Office at 262-781-9520 or visit the Guitars for Vets website at www.guitars4vets.org. Celebrate our sixth annual Guitar Festival with a rock & blues legend! Featuring a new blues and R&B sensibility, stripped-down instrumentation, and a down-home vibe, tickets are on sale now for this night of "big fun." Experience the benefits of bringing yoga, music, and nature together with a Vinyasa yoga class led by ProHealth West Wood Health & Fitness Center instructor Katie Vieth, featuring live acoustic guitar performed by classical guitarist, composer, and teacher Ben Dameron. Suitable for all levels of students, with modifications for injuries or beginners, this class will be held in our beautiful outdoor Burke Colonnade and is designed to encourage a deep and resilient strength while bringing your body, mind, and spirit into healthy balance. Space is limited and advance registration is recommended. Please bring your own mat and towel. Major Goolsby's will be onsite in our Kuttemperoor Grand Hall with a delicious breakfast plate for Festival friends and family who are joining us for the final competition rounds! The breakfast plate will include: scrambled eggs, potatoes, sausage, danish/muffin, and fruit. Advance purchase for the Festival breakfast is encouraged; cash and credit card will be accepted on-site. Join us to hear our 2018 jazz and classical finalists compete for their chance to become a finalist! Jazz competitions will take place in The Harris Theater while classical competitions will take place in the Dawes Studio Theater. Please note: both final rounds are anticipated to be finished by 10am, although end times may vary. Join us to hear our 2018 rock & blues and fingerstyle finalists compete for their chance to win their share of $32,000 in cash prizes! Rock & blues competitions will take place in The Harris Theater while fingersyle competitions will take place in the Dawes Studio Theater. Please note: both final rounds are anticipated to be finished by 11:45am, although end times may vary. Celebrate our 2018 competition winners, as we announce the four first-, second-, and third-place winners in each of the four competition genres. Join acclaimed classical performer and instructor Nathan Wysock for a traditional hour-long guitar masterclass. A featured performer on Wisconsin Public Radio and a member of L’ensemble Portique, as well as a dedicated teacher who serves as a faculty member at Lawrence University and several community programs, the secondary guitar program at the Eastman School of Music, and the Wisconsin Conservatory of Music, 2018 competitors will have the opportunity to perform for and receive comments from Wysock. It's the start of another Guitar Festival First, as we take our guitar party outdoors to our Gerlach/Haack Outdoor Theater for a free afternoon of music! Our 2018 Backyard Block Party presented in partnership with Milwaukee Record will kick off with a solo performance from Milwaukee's nomad/songwriter/folk punk guitar superstar Brett Newski. Major Goolsby's will be on-site with delicious food and refreshing beverages available for purchase. PLEASE NOTE: Carry-ins are not allowed. Through his historical research, analysis, transcription, teaching, and performances, John Stropes has brought fingerstyle into focus as a significant American music His publishing company, Stropes Editions, Ltd., has set a new standard for written music for the guitar and guitar education, and he is the author of numerous transcriptions of contemporary works for fingerstyle guitar and related instructional materials, as well as a frequent contributor to guitar publications. This hour-long class will focus on the music of fingerstyle legend and former Guitar Festival headliner Leo Kottke. Participants are encouraged to bring their guitar and plan to play along in a group setting with the nation’s leading scholar of fingerstyle guitar. Join Milwaukee's own jazz guitar master Neil Davis as he hosts an hour-long conversational setting to discuss concepts for jazz improvisation. A guitar teacher at Milwaukee Youth Symphony Orchestra's jazz studies program, Davis co-founded the West End Conservatory and assisted in founding jazz advocacy nonprofit Milwaukee Jazz Vision. In addition to fronting the swinging Neil Davis Trio, he is also half of the Davis\Peplin Duo and an accompanist for UW-Milwaukee's dance department. 2018 competitors will have the opportunity to play side-by-side with Davis. In production for three years and funded on Kickstarter.com, Acoustic Uprising charts the evolution of solo acoustic guitar. An exploration of the vibrant modern fingerstyle movement and the pioneers who led to its creation, fingerstyle has ignited a guitar community like no other: guitarists who share a passion for pushing the boundaries of the instrument and themselves to ever greater heights. Learn how to become a better player from the man who “wrote the book” on shredding. Troy Stetina is an internationally renowned guitarist, leading authority in guitar instruction, and clinician. He has authored more than 40 rock and metal guitar methods for Hal Leonard Corp., which have been translated into numerous languages and have sold more than one million copies worldwide. In this hour-long masterclass, Troy will lead and demonstrate technical and musical examples from his published works on shredding electric guitar. Continue the celebration of our unique Milwaukee music scene and sounds with one of Milwaukee’s newest bands, For The Culture. Formed by Foreign Good’s synth player Quinten Farr, the band fuses Rock and Neo Soul into a unique sound. For The Culture full lineup consists of singer-songwriter Yasmeena, bassist Calvin Turner, guitarist Aram Feriants, and drummers Jonathan Harris and Terence Pettigrew. Our 2018 Backyard Block Party is presented in partnership with Milwaukee Record. Major Goolsby's will be on-site with delicious food and refreshing beverages available for purchase. PLEASE NOTE: Carry-ins are not allowed. Hear the next generation of guitar greats and join us for a Festival Finale concert headlined by our 2018 first-place competition winners in the genres of classical, fingerstyle, jazz, and blues! Each winner will perform for 20-30 minutes with brief breaks between sets. Major Goolsby's will be on-site with delicious food and refreshing beverages available for purchase. PLEASE NOTE: Carry-ins are not allowed.